@MarkPachi wrote: Damn, oh well. Thanks anyway. Any clue where to start looking for Photoshop resources? Filters? Textures and Effects? Deviant art is nice. Searching your basic things on Google couldn't hurt either. Just a small update as well: My entry for the pack will be completed soon. I hope to see a bunch of links for me to test from you guys! I'd like to see all great potential put into this. Dissidia and I have been busting our butts off. I would join but i don't know when i'm finish my wip stages. If you feel more comfortable pming me then by all means do so! Just know Dissidia may be testing your stages/screenpacks as well. Nero that'd be great! If you need help or suggestions I'd love to help here or in xat! So far we have one SP done, and two stages. Hopefully we see more coming. Well I'm away from my comp atm(on phone) but I had most coded the stage, gotta make some aesthetic changes and adjustments and it'll be ready. Sounds good, just send to me and diss for feedback whenever you're ready! -The logo looks badly resized, lossy, and the glow around the edges is too painful for me to look at. -Lossy globe, the rotation doesn't look so bad but does it require THAT many frames for the SFF to be about 111 MB? -Common, overused EVE fonts that should be changed. 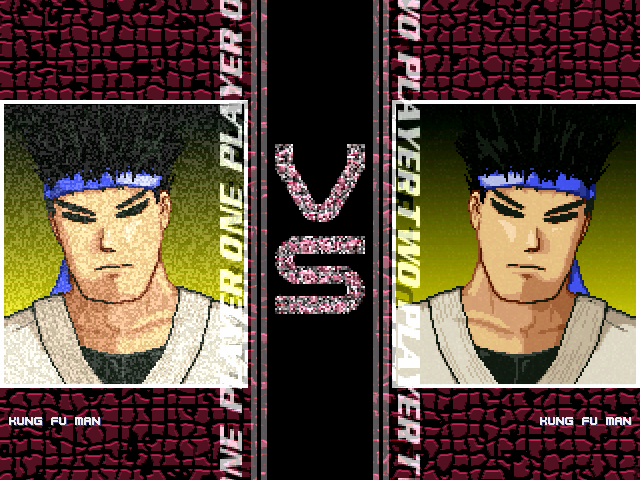 -The renders of both Gouki and Ryu doesn't add up well and should be removed from there. -Simple, yet effective, however there still needs more to be added. -The name fonts for P1 and P2 aren't placed correctly. -Again, common yet overused EVE font that needs to be changed. 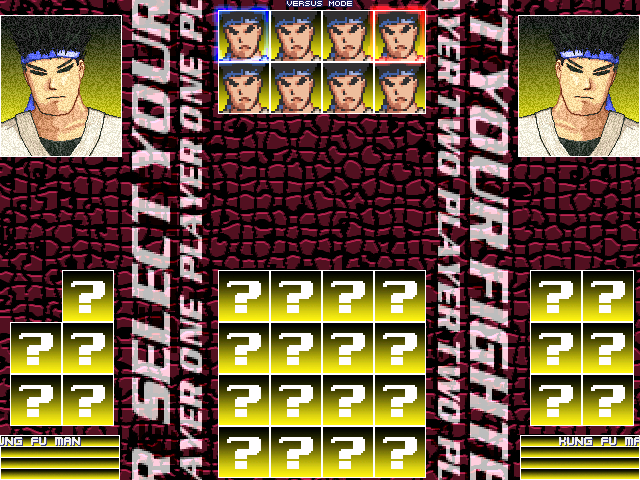 -"Select your Fighter" and player sprites, taken from Mugen Tournament 3 I'm assuming. -Both cursors for Teams Mode aren't placed correctly. Overall, it needs a lot of work. It's still missing a Victory Screen and the Options screen could use some animations. To add on to all that great feedback, perhaps you could have a black image with a border for your scrolling select your fighter text, so it doesn't look slapped on. Perhaps you could even consider a new texture behind everything else rather than the one you have (referring to versus/select) maybe something more metallic? Those renders are kind of bad too, perhaps you could use NoZ's fading render technique, or remove them completely. Either way they clash. Thanks Diss and GLB. That's some very insightful feedback. Heh...I guess I still have alot to learn. It's far from finished, but I wanted to convey my general idea. The original screenpack in which this comes from suffered from UBER color loss. My original intent was to convert it 100% with custom lifebars. But the sprites where just to bad. 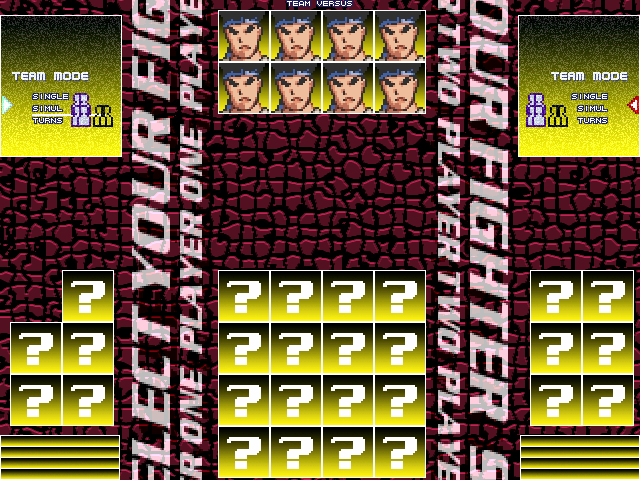 The fonts and the "select your fighter" come from the original World Warrior X screenpack, as well. As far as my experience, I've made a few. But my graphix skills are low. And this site is know for that very skill, so I'm going to need to step my game up for sure. Man, I've got alot of work to do. But this feedback will give me the guideline to make this better. Although, I am unfamiliar with Noz's fading render technique. Perhaps a link to the thread will help me. He used it in Enemies of Fear and Warzone if I recall correctly. Oh...I thought that was what you where talking about. I've used similar techniques myself. I'd considered it for this one, but wasn't sure if I wanted to. I may give it a go. Again, thanks for everyones expert feedback. I will address the issues I think are necessary. Sounds good, Vegaz. I hope to see a lot of improvement on this. Just dropping by to reveal some info. We're not done with this project, it's still going. Diss and I are ready to go whenever you all are, I hope to see some links for feedback soon. During the day we're pretty active and we have a lot of creators in there willing to help. Alright! Got some questions to ask but for now, i'll try to solve it on my own. Thanks for informing us! 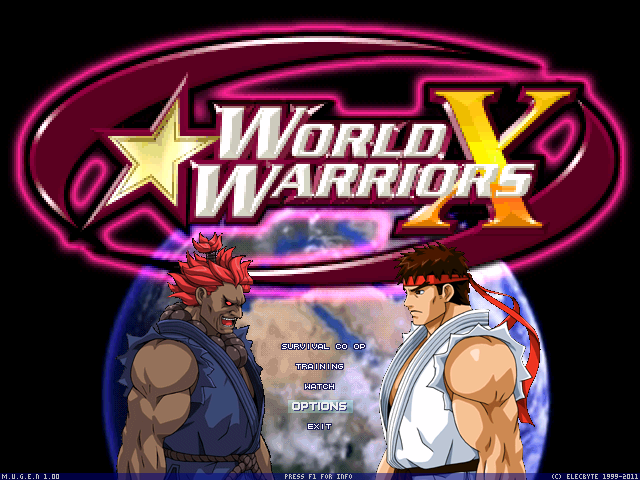 Updates to the World Warrior X Remix screenpack will be here shortly. I addressed the things listed above (Title, select, etc..)as well as other things. I'll also be adding stage updates. I'm considering Snow Chapel and Calignious Lake but i'm not entirely sure yet. Step your game up, rookies. That's some straight fire right there! Ya dig?! I hope you guys don't mind me asking but is there a deadline for the contributors? There is no deadline, however we've been busting hump trying to get the release as close to the holidays as possible. As more of a christmas gift of sorts. I don't want to rush anyone though. Just let me know via PM if you have any issues, need any help or want to set up a work date and deadline. I'll be more than happy to assist here or in the chat room. I'd like to state some new plans. Considering there's much more content being released than we had originally thought, we're going to do this release pack in parts. This way it will give the users time to finish their entries, and get them thoroughly tested before making public. It will also give others more time if they'd like to enter in the future. 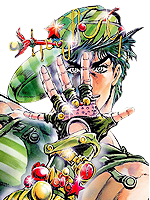 Part 1 will be released December 14th. I will update the official thread revealing what will be included in part 1. Here's a sneek peak. Shows the title, vs, victory(briefly) and the lifebars.